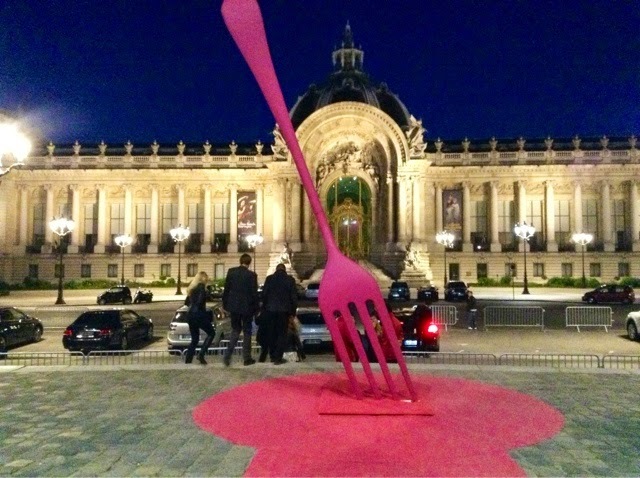 Last night was the major foodie event opening of TASTE OF PARIS at Grand Palais. 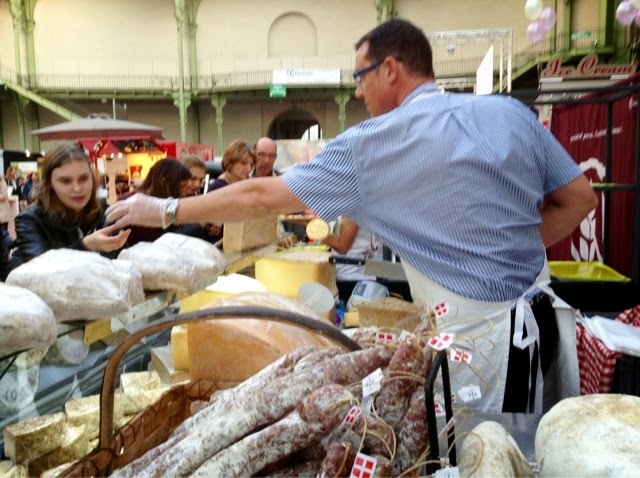 Get ready to graze from France's top chefs and purveyors. 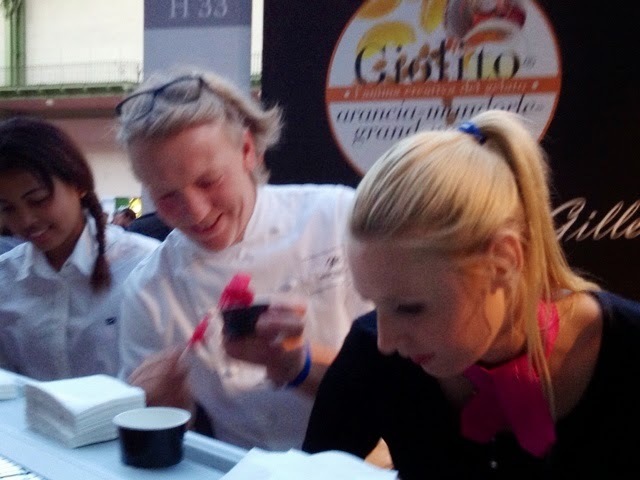 14 stations serving tasting bites from master chefs. 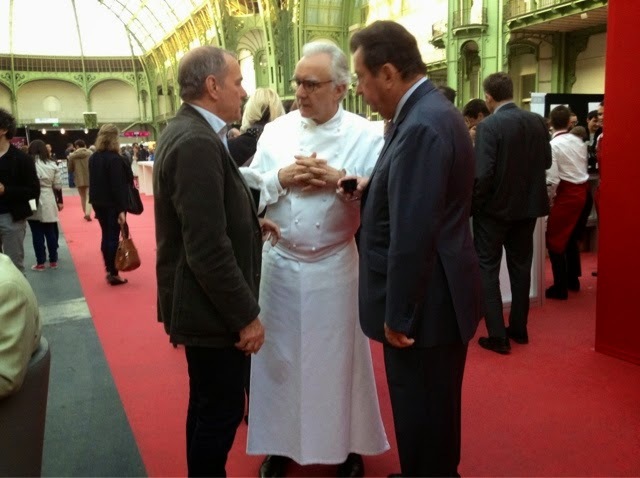 Alain Ducasse, top chef and head honcho of the event confers. 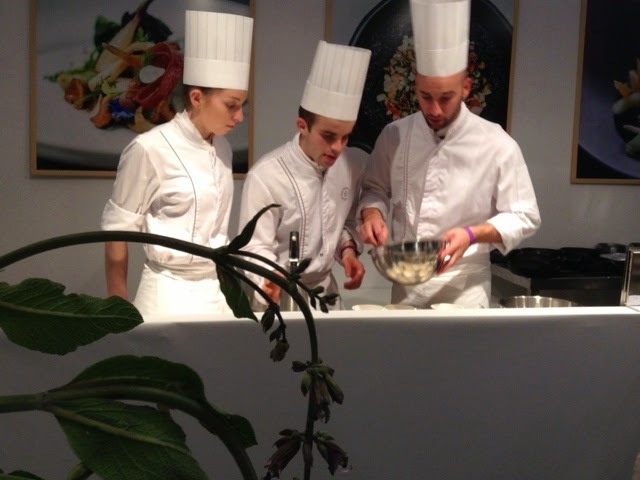 Whilst the line chefs rush to produce. 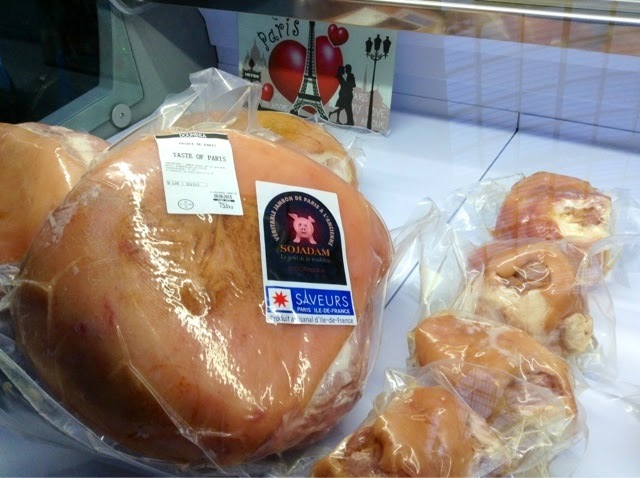 The last real and true jambon de Paris, Le Prince - a must-taste. 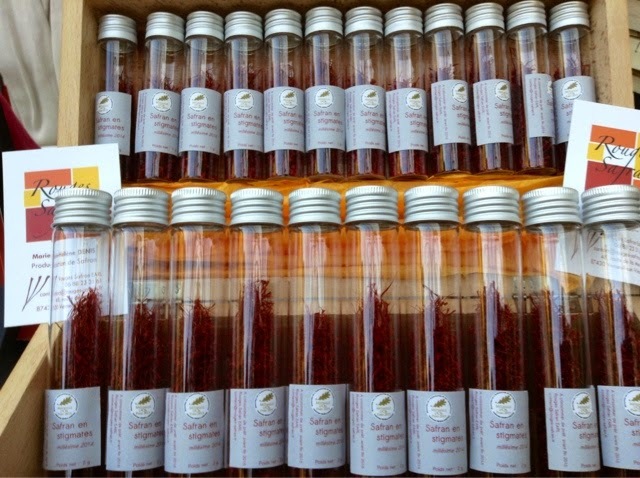 Saffron from the Vallee de la Vienne. No need to go to Persia. 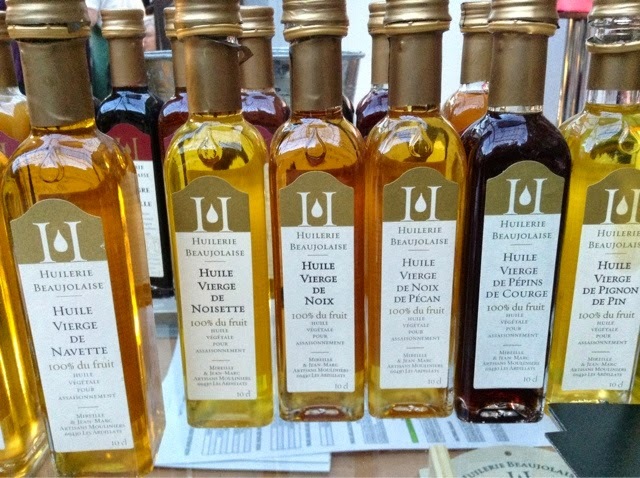 Divine oils from Huilerie Beaujolaise with intense flavors of pistachio and hazelnut, used only to dress food, so delicate. 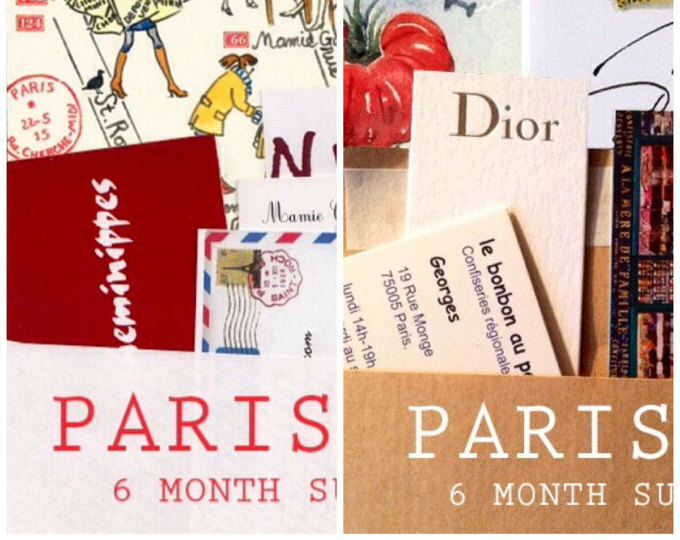 Did you know ketchup is hot, hot, hot in Paris? You can put it on just about anything and it comes in a variety of flavors here. From Oliviers & CO created by 'Goth' chef Olivier Streiff. 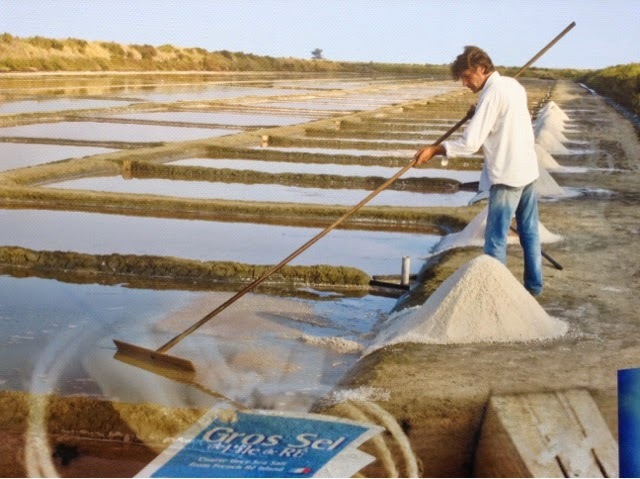 I bought a bag of fleur de sel salt from the Les Sauniers de l'Ile de Re - a place I am dying to visit. 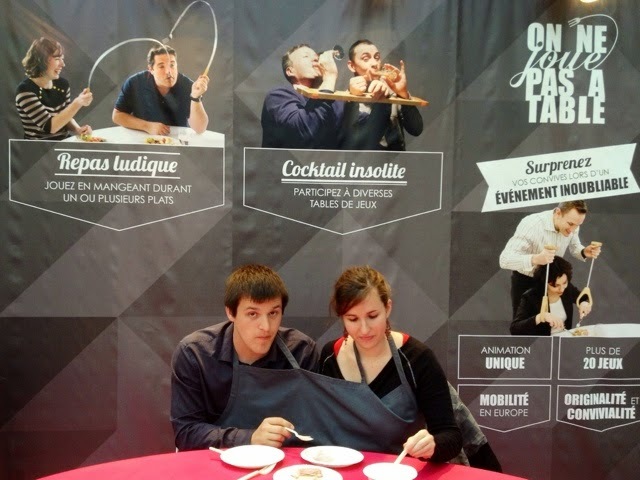 An eating game - try eating with your opposite hand or blindfolded from Jeux de Degustation. Very fun to watch. The perfect companion at a tasting - food designer and cookbook author, Coco Jobard. There is almost no one Coco doesn't know in the food world. 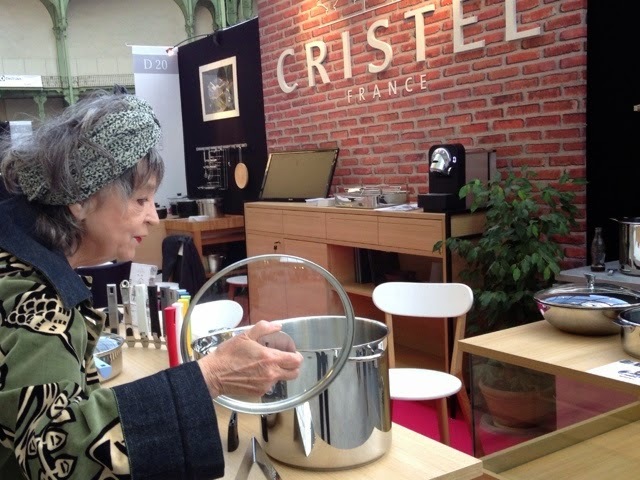 Here she inspects the best kitchenware on the planet. Cristal will last as long as you do says Coco. 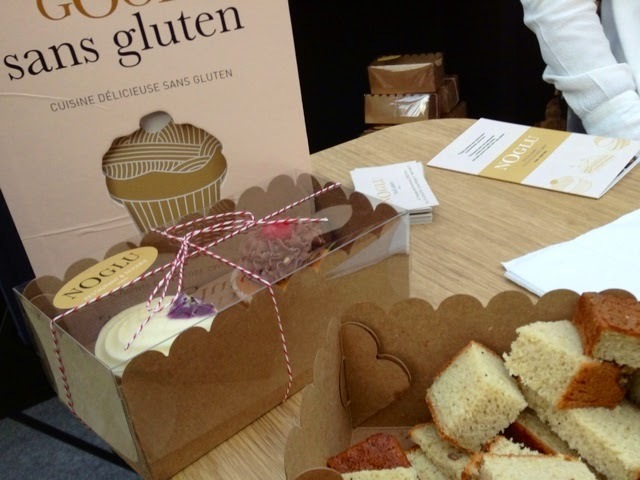 We try NOGLU cupcakes. Tastes yummy. How do they do it? Can't remember what these are exactly but they look good from Benoit Castel of Liberte. Coco says I must go taste his cream tarts. The Laurent-Perrier Champagne was flowing but we needed to keep our wits about us and abstained. Loved this giant poster of a traditional French bistro. We did get to taste this foamy concoction from restaurant Kei. Stir it up before eating. Wonderful with hints of sesame oil. Otherwise very mysterious. The deal is you buy giton coins before entering. Then get on line at 14 tasting stations. 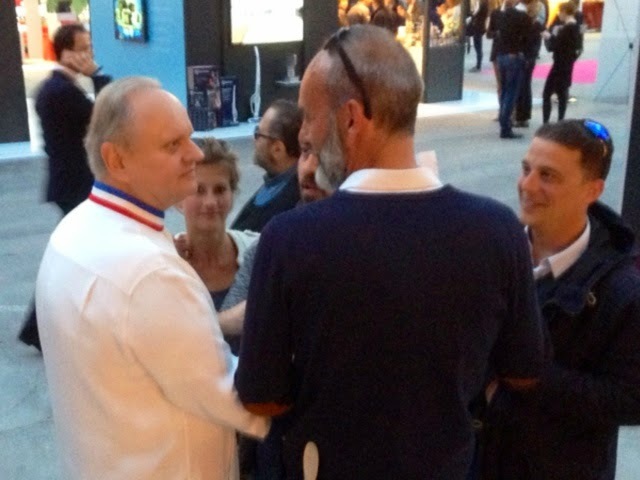 Master chef Joel Robuchon in attendance. 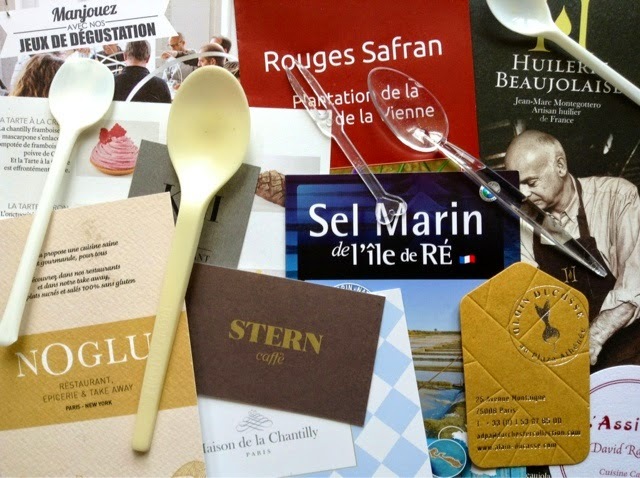 Other chefs presenting mini plates of their famous food through Sunday: Francis Fauvel, Kei Kobayashi, Stéphanie Le Quellec, Jean-Louis Nomicos, David Rathgeber, Guy Savoy, Pierre Sang, Frédéric Simonin, Frédéric Vardon. The piece de resistance to cleanse our palates (several times) was Giolito gelato from pastry chef Gilles Marchal (formerly top chef at La Maison du Chocolat FYI). 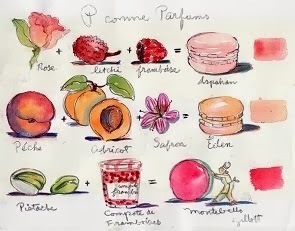 He has a new patisserie in Montmartre, 9 rue Ravignan 75018 and I haven't been yet. This is obligatory. The pistache, mangue, caramel flavors were out of this world. 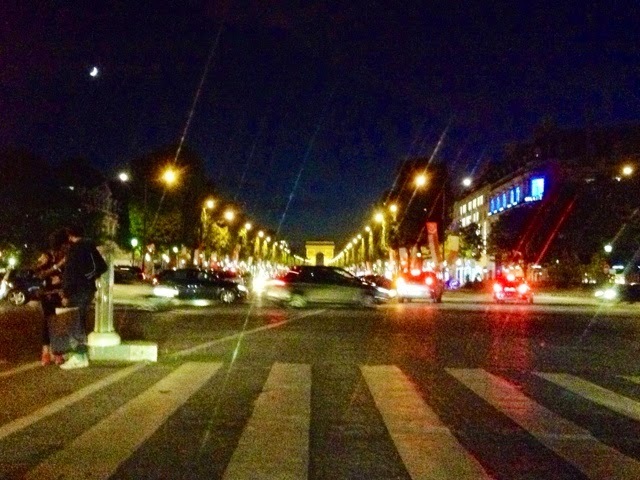 Stepping out of the Grand Palais on to the Champs-Elyseese at night is also out of this world. 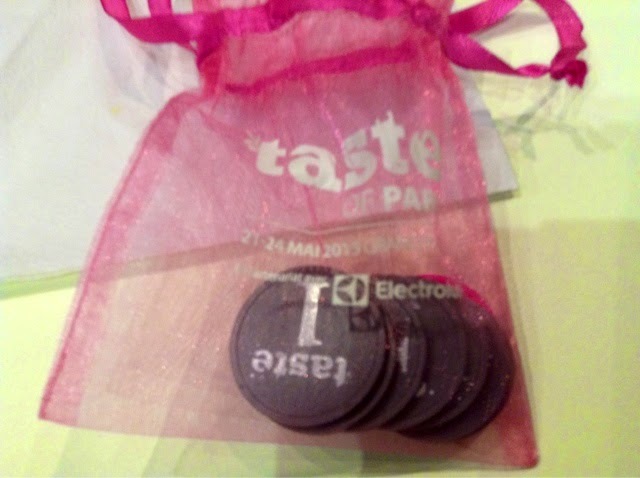 TASTE OF PARIS will be on through 24 May. Love the transition from giant fork to multiple tiny tasting spoons. Oh my! I missed it! 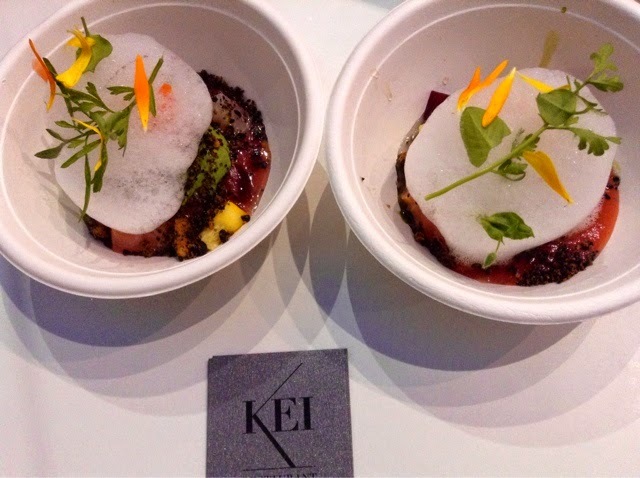 I adore Kei - the chef is an absolute genius. Been to his restaurant once and wishing to go back. Had a menu dégustation that was most incredible. Hm. 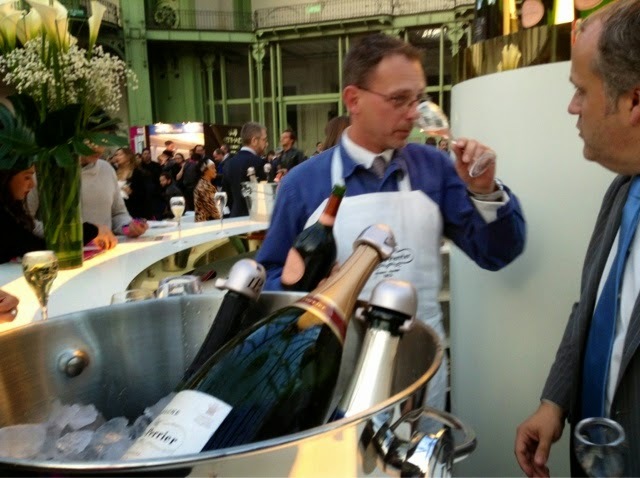 That Laurent-Perrier Champagne ... you could have taken the photos while I sipped. Just saying ;-) Glad you had a super time! Thank you so much for this BEAUTIFUL Paris Breakfasts today. Each one is so appreciated,your creativity and photography amazing. You enrich my life each week. Thank you. FANTASTIC !!!! ALL Soooooo Yummmmy and Beautiful! FANTASTIC ! 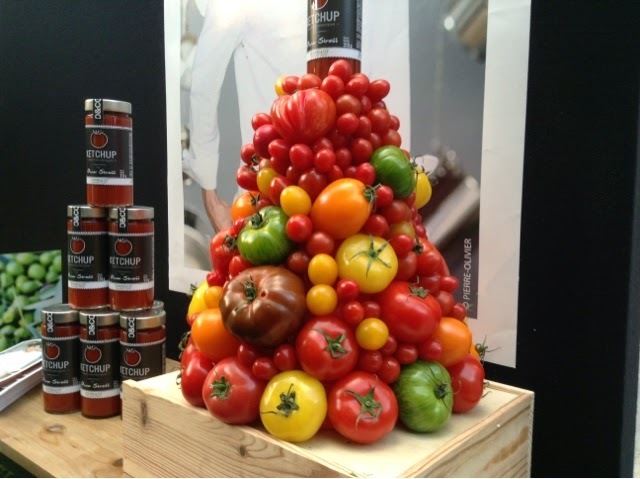 Love the food expo photos! How could anyone afford those large jars of Saffron? Love your photos of all the beautiful flowers, gardens, food, everything. 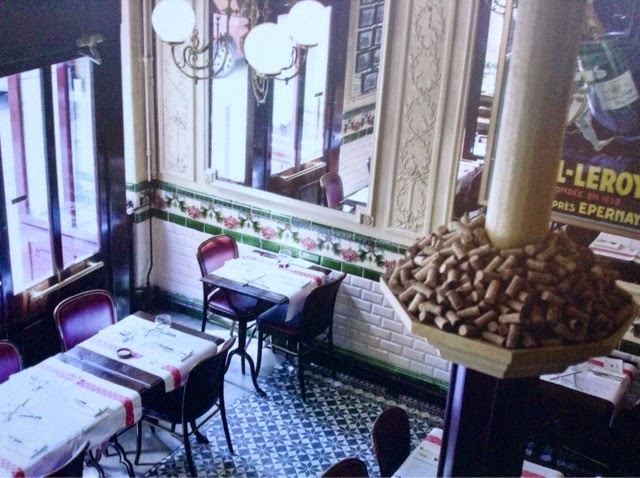 Love the poster of the "Traditional French Bistro." Your opening & closing shots are great, too! Nikon, Paris is a grand city. It doesn't disappoint visually ever. WOW! What a fantastic post, Carol. I love every bit of this. The venue is fantastic and to be traveling this show with Coco is the crème de la crème! What an event. Is it new? I don't know that I've heard of this one before. I hope it continues, I'd love to get there one year. 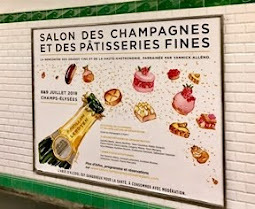 It all looks so fabulous, and I'm sure I couldn't have turned down the Laurent-Perrier. 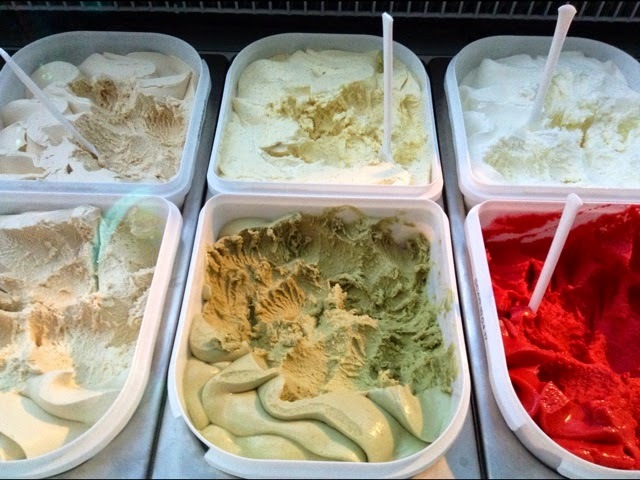 Or the gelato. I don't mind that Parisians are enjoying tomato based sauces, but I'm disappointed and surprised that they are calling it ketchup (but then I don't like seeing American names for products here either- we have our own names, they don't need to be replaced). Not held every year so hard to predict Louise. 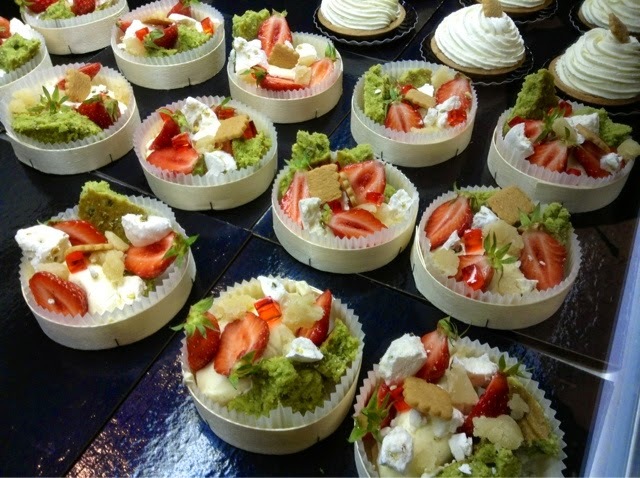 The French do take their food so wonderfully seriously - rather than just stuffing their faces as in the US! London was bliss but cold.Think of you often. Terribly seriously but they do have a ridiculous sense of humor too(ludique). those eating games cracked me up! 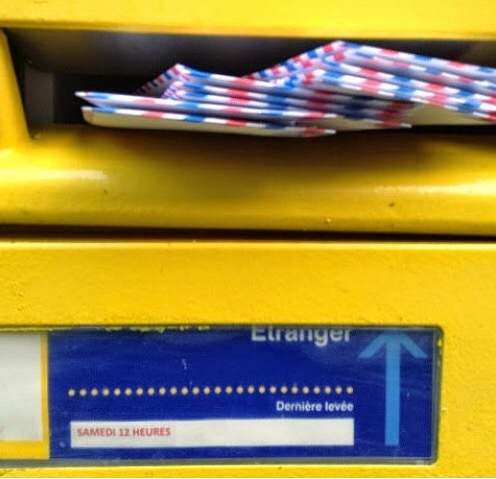 You really should go and visit those sauniers. 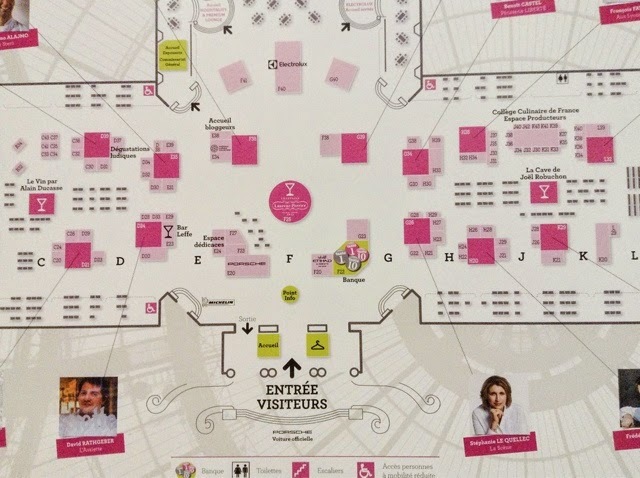 It's a mind-opening visit and you'll appreciate your 'fleurs de sel' even more after that. I hate to tell you this but my best loved sea salt is still and always will be the Maldon salt in tasty 'flakes'............. every time I visit UK and I'm nearing the end of my supply, I get new one. 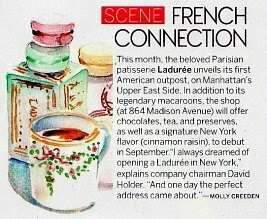 I still buy the fleur de sel however for family and friends.... can't bring them English salt when I live in France, can I? !